It was bound to happen. Zenit Saint Petersburg’s Brazilian winger, Hulk, is going to move to the Chinese Super League club Shanghai SIPG for €55 million. The Russian paper Sport-Express stated that the deal also includes several bonuses that could see the figure grow even higher. The transaction, which has already been confirmed by a Zenit spokesperson, will not only end a transfer saga that started as far back as January when Hulk was first offered several big contracts from Chinese clubs, but will also be the most expensive transfer in Russian football history (the list of the most expensive transfers can be found here). As Futbolgrad reported on February 1, Zenit had received an offer in the region of €30 million for Hulk—reportedly Hulk would have earned €20 million a year—yet Zenit, fuelled by the gas giant, Gazprom, was able to resist the offer from China. Mitrofanov believed that Financial Fair Play, in particular, put Russian clubs at a big disadvantage, especially because there were almost no regulations in the Chinese transfer market in terms of Financial Fair Play. Although Zenit promised that they would fight hard to retain Hulk at the club, it now appears that Zenit and Gazprom had to give in and allow Hulk to leave. Yet the €55 million they earned from the deal could help the club bring in fresh blood, and once again challenge for a place at the Champions League. Last season, Zenit finished in third place in the Russian Football Premier League, which meant that they lost out on a vital UEFA Champions League spot—although UEFA could still provide a backdoor into the competition by banning FC Rostov for breaking Financial Fair Play regulations. Former coach, André Villas-Boas, who announced early last season that he would leave the club, has been replaced with Shakhtar Donetsk’s head coach, Mircea Lucescu. Lucescu is known for his fondness for Brazilian players and, therefore, at first glance, it is surprising that he likely agreed to this deal. Furthermore, during the Copa America Centenario in the United States, Hulk told the media that he was happy playing in Saint Petersburg. As reported by Futbolgrad on May 30, 2016, Lucescu has been interested in bringing in both Marlos and Taison from his former club Shakhtar Donetsk. At the same time, however, the 6+5 rule, which forces clubs to field at least five players that can play for the Russian national team, means that Lucescu will have to make room in the current Zenit squad to bring in new players. Hulk’s departure provides, not only a free foreign player spot in the line-up, but also the necessary cash to bring in new players who can play Lucescu’s preferred system. Yet, despite the fact that this was a logical deal for Zenit and Lucescu, Hulk will be greatly missed in the RFPL. There is no doubt that the Brazilian was the best player in the RFPL in the last few years, and he might even go down as the most talented player to have ever played in post-Soviet Russia. In terms of marketing, Zenit, and Russian football in general, now have a gigantic hole to fill, now that the country is losing its biggest football star. It will be interesting to see whether Gazprom will now open its cheque books in order to bring in new attractions who will further promote the Gazprom football brand. Will Chinese Money Damage Brazilian Football? 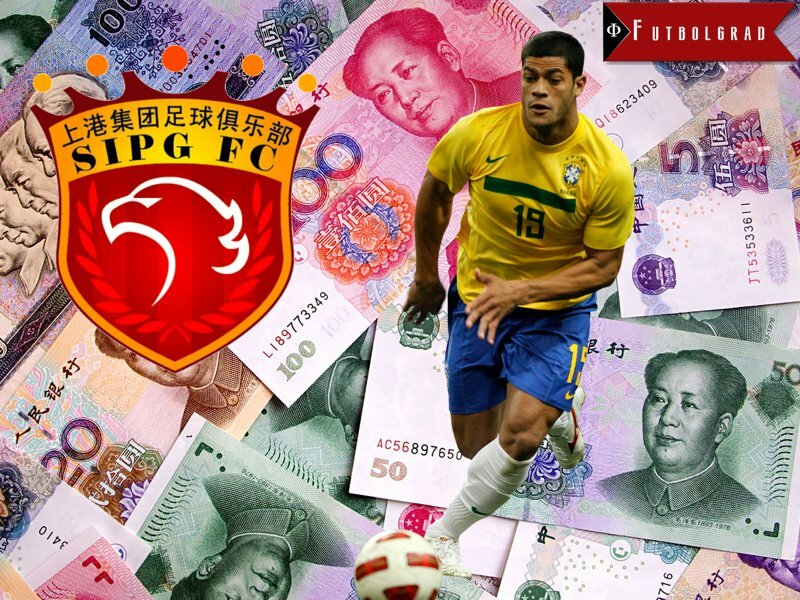 As for Hulk, he is now the latest high profile Brazilian to join the Chinese Super League which, despite its spending power, still lacks the competitive edge of a top ten European league. Chinese clubs are restricted to four foreigners (plus one Asian player) per squad, and local Chinese players are not competitive—yet. Brazil recently crashed and burned out of the Copa America Centenario with a squad that was labelled by many as the worst team in Brazilian history. The team included two players from the Chinese Super League—Gil (Shandong Luneng Taishan) and Renato Augusto (Beijing Guon), and with China especially targeting Brazilian players, who are often willing to make the move, the level of the Seleção could drop even further in the near future.